DO YOU KNOW WHERE YOU ARE ??? 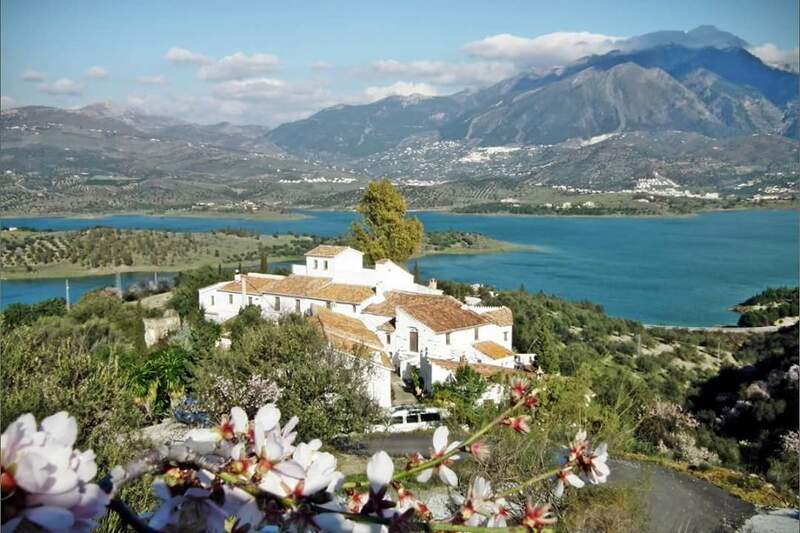 .. Well, if you’re looking at the view at the top of the page, you’re most definitely in the tiny village of Los Castillejos, about 40 mins east of Malaga Airport on one of The Songwriting Academy’s Andalucian Songwriting Retreats … and you’re probably feeling a mixture of excitement and trepidation as the 2 hour flight from London is behind you – but the journey is only just about to begin. Just because you can do something, should you? Well, in this instance – YES, You ABSOLUTELY SHOULD ! It’s been hailed as a life-changing experience not to be missed and is an absolute MUST for any evolving #songwriter. The concept of a songwriting retreat is not a new one, however, The Songwriting Academy Founder and Principal, Martin Sutton has devised a program of creative, collaborative interaction in a warm, calm and welcoming surrounding. 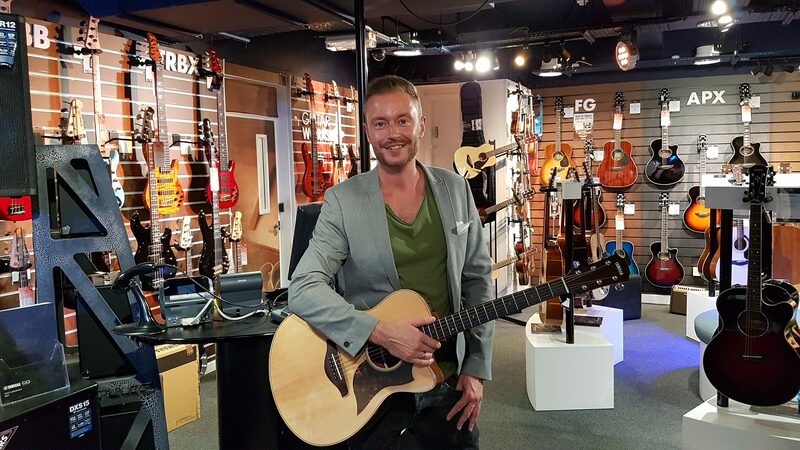 It’s a place which provides the perfect environment for the creative process to evolve in his students and gives everyone the opportunity to hone their songwriting talents under the expert supervision of industry acclaimed songwriting mentors. Mentors, who also take part in the collaborative process co-writing with their novice charges. 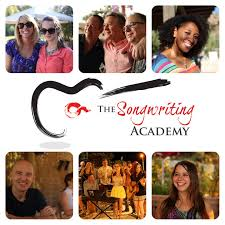 The Songwriting Academy advocates collaboration as part of it’s teaching ethos and one which prepares songwriters for actual music industry situations where it’s almost universally accepted that the creation of a hit song is going to be the product of a collaborative group. So, leave your egos at the door and forget the word ‘No’ – because every contribution is acceptable – it may not be right for the song you’re all trying to craft – but it may also be the absolute GEM you need to turn a song into a HIT .. so don’t hold back … but likewise .. give everyone else an opportunity too. 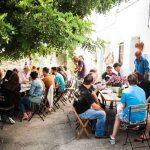 The COLLABORATIVE PROCESS BEGINS IN GROUPS .. each day a packed village hall freshly cleared from a delicious continental breakfast, plays host venue to the keynote speakers and mentors in a prelude to the day’s writing sessions. 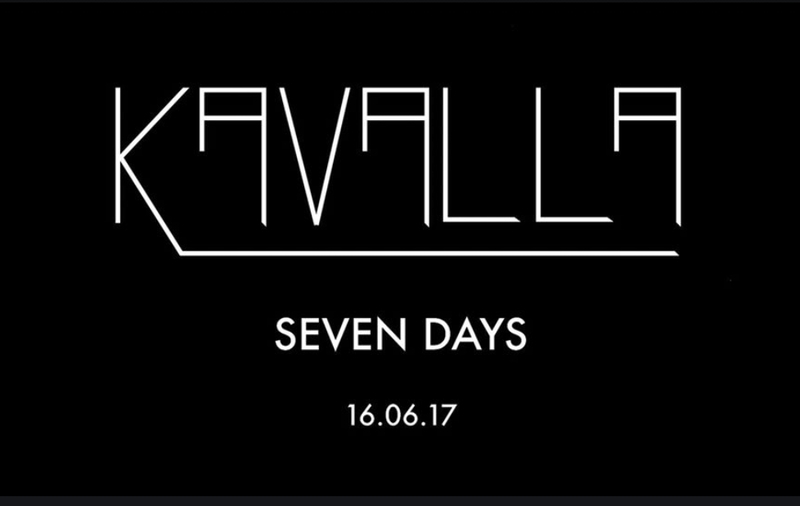 Songwriters are assigned their associate co-writers for the day, allocated a group mentor, then the brief is delivered. And WHAT HAPPENS NEXT ? 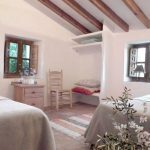 The various groups are then allocated a location in which to craft their song for the day and each location around the village is equipped with a keyboard plus there are a number of guitars present .. though most seasoned performers and musicians bring their own. So begins the creation of a whole new song in each of the collaborative groups, overseen by experts who are themselves multi-platinum selling songwriters, most for major headline artists. By the early evening. 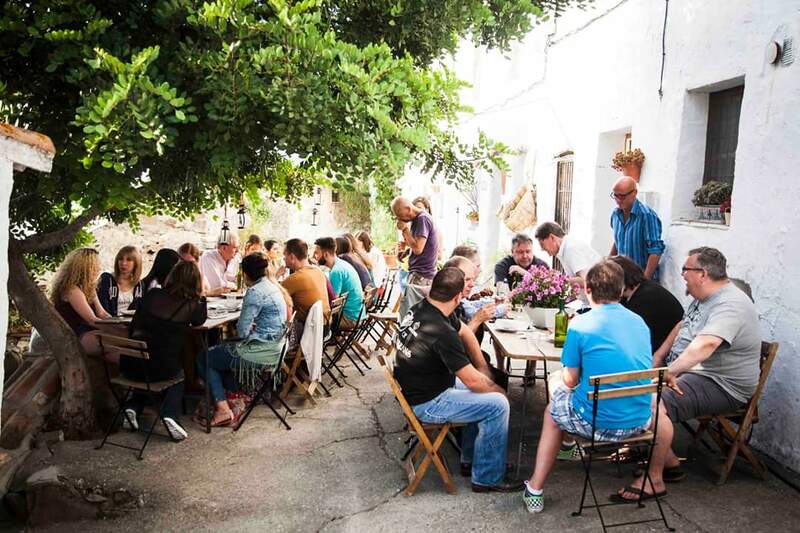 the final touches are made to the crafting of the day’s work and then dinner is served al fresco in the tiny main street … but that’s not all. It’s SHOWTIME – when dinner is over everyone assembles and the debut performance of each of the newly crafted songs is enjoyed by the rest of the group with a round of invaluable critique from the mentors between each song – a process which gives incredible on-the-spot feedback and encouragement. ALL WORK (and no play ?) – Absolutely Not !! 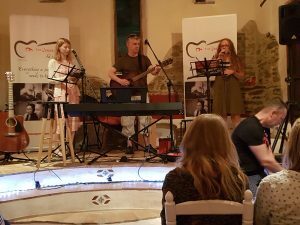 If you’re looking to learn more about Songwriting – You came to the right place.. but it’s not all work and no play. 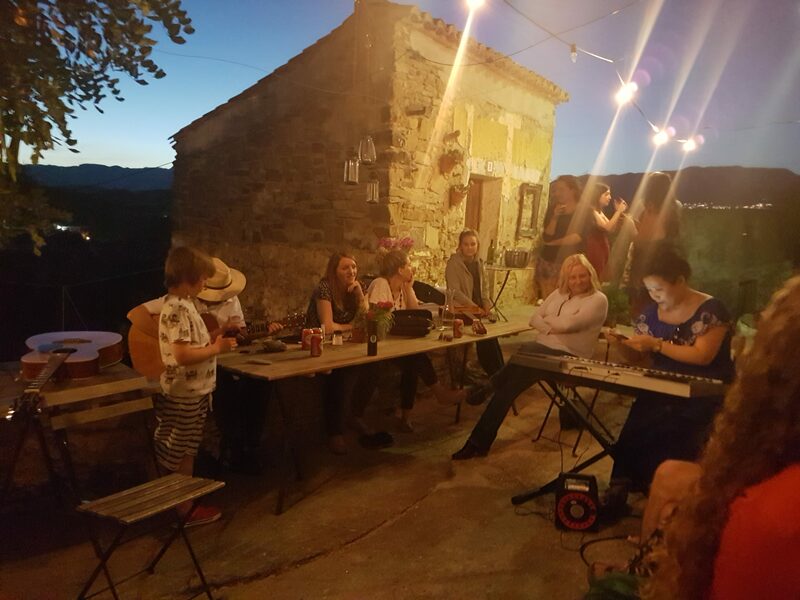 The week is punctuated with social events both in and out of the village and the atmosphere is friendly, embracing and supportive as songwriters sing, dance and perform their way through one of the most incredible and for many life-changing experiences they will ever have.. But let’s focus on what’s different here: that edge. 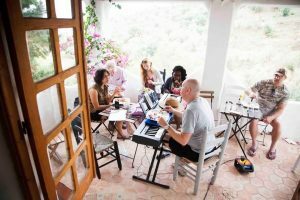 The bonding process , both socially and professionally brings songwriters together in an enjoyable and relaxing way to offer an ease of interaction many would find difficult to achieve in such a short space of time in an environment other than this. 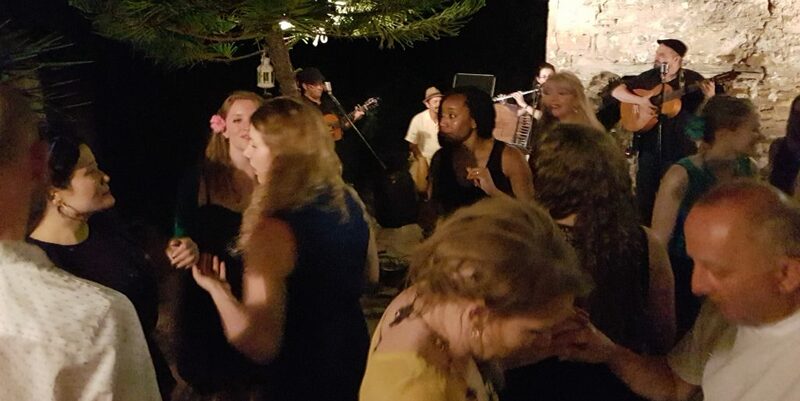 Seen here a group of songwriters dancing to a Salsa band in the village after the day’s performances are all finished and the evenings festivities are just beginning. 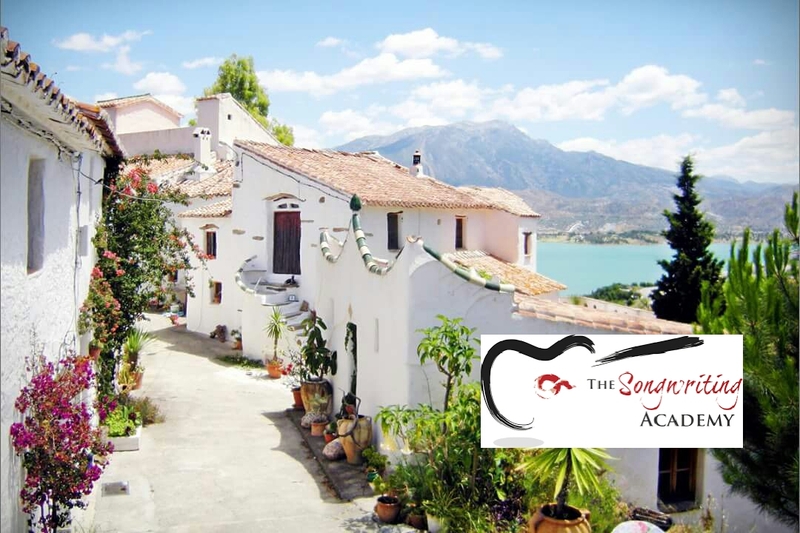 The Songwriting Academy Andalucian Songwriting Retreat find out more …. 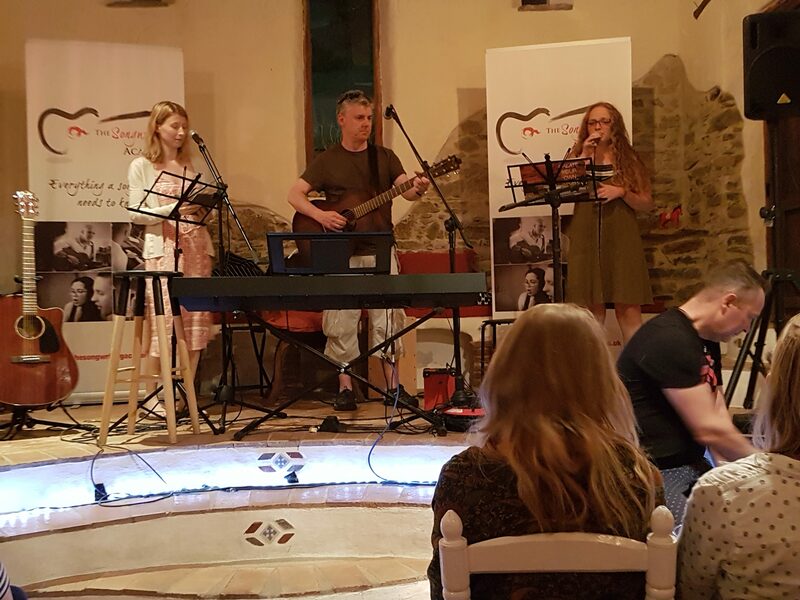 Check out Retreat Details at The Songwriting Academy … and also look for the calendar of one day seminars in London / online video subscription and 3 day Songwriter Bootcamps in Kent. links below … We’re sure You won’t regret it !! 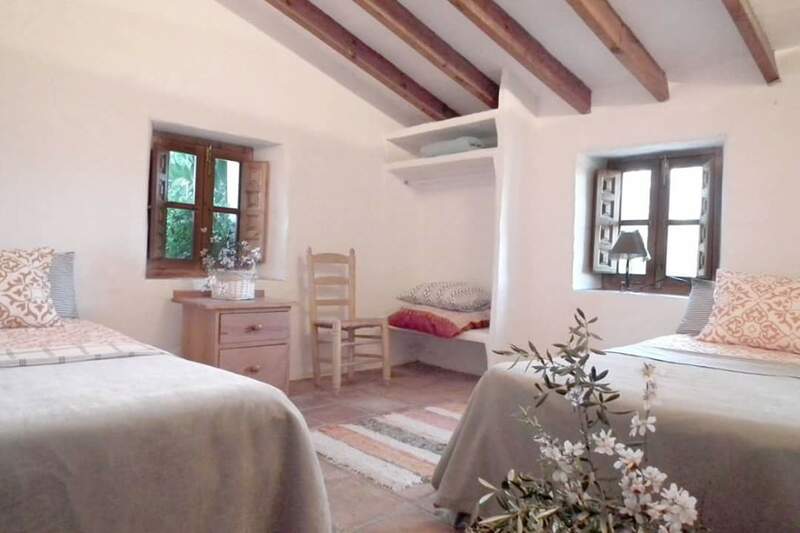 Los Castillejos is a beautiful village in the foothills of the Andalucian mountains with comfortable accommodation in warm and beautiful surroundings – ENJOY ! !